Opening the refrigerator and seeing an unwelcome guest? You won’t even like to take out the thing you require. Wondering how the roach got there? Let’s discuss in detail how the roaches got there and what preventative actions can be taken in order to avoid them. Can roaches live in the fridge? With ample amount of food, a roach can survive anywhere. But, the fridge is not the idle place for a roach to survive the cool temperature. In winters you see less of cockroaches can be said to be the best example that cockroaches aren’t really comfortable in living the cold temperature. So, if you see a roach in your fridge, it has probably entered the space by mistake. Cleanliness can be the main issue here. There are various ways to remove the roaches from the fridge. Remember, these measures should not include any chemical substance, if it’s to be used inside the fridge. Neem: A preventive and safe method which can be used to properly remove and its smell will be a great repellent. Bay leaves: As they are also used in cooking food. It will be safe enough to used and can be kept as a repellent to remove the roaches. Peppermint Oil: It can also be sprayed on the spotted areas to eliminate them from your fridge. Proper cleanliness is the main factor to remove the roaches. Proper lids on the food products should be kept in order to avoid the roaches inside the fridge. These are the ways to remove the roaches. But, preventions can always be taken in order to avoid the roaches i.e. restricting them from entering the refrigerator. 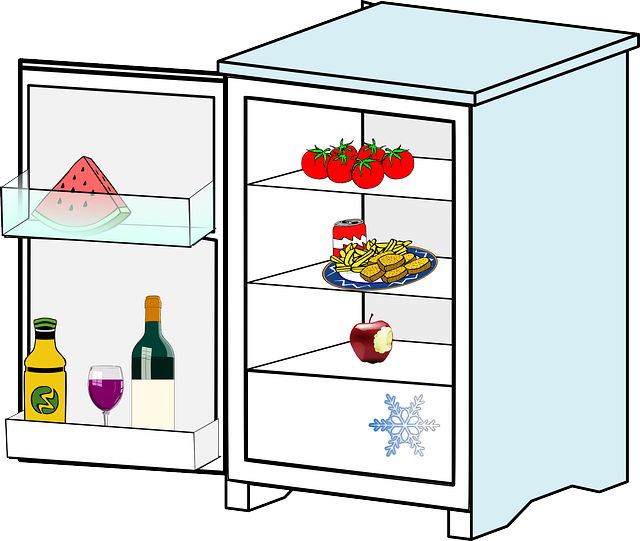 Cleanliness: Cleanliness should be kept both inside and outside the fridge. The door of the fridge shouldn’t be open for no work. Boric acid can be kept around the fridge areas in order to avoid the roaches to enter. Bay leaves and Neem can also be used in order to prevent the roaches from entering. Food should always be covered with lids. So, these all preventative methods can be used. But, it should be considered that Cleanliness is the main prevention to avoid the roaches. In the end, it can be said that the roaches can’t survive the cool temperature. But, it doesn’t mean they won’t enter. To avoid this, the fridge and the areas around the fridge should properly be cleaned. Cleanliness is the ultimate thing which will help in avoiding the roaches. If there’s a serious infestation and nothing is working. You probably should take help from professionals. After their help, you should keep all the preventive measures in mind and can use in order to avoid the roaches in your surroundings.